Self condition is the precondition for effective leadership and initiation. Initiative and leadership are associated, because leadership is essential for attainment of success and Initiative is the very foundation upon which this necessary quality of leadership is built. 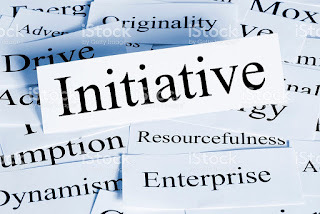 What is the initiative ? The world bestow its big prizes , both in money and honour for one thing and that is initiative. 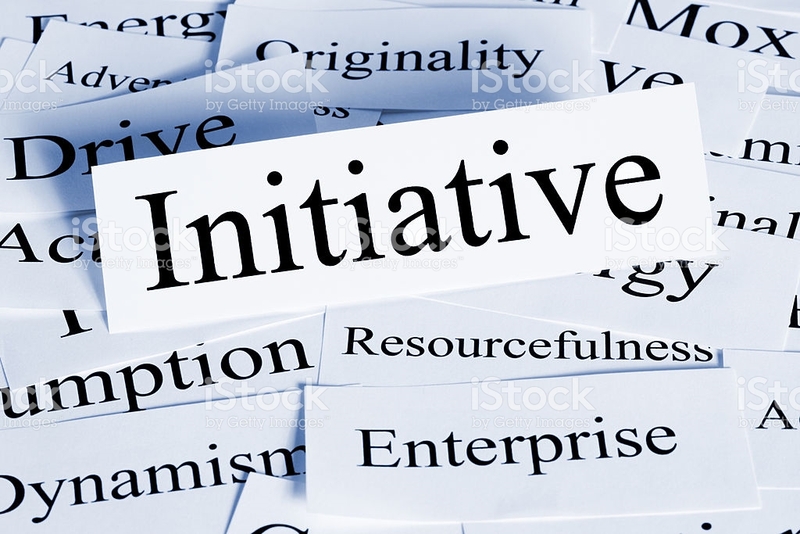 What is initiative ? ”It is doing the right things without being told to do it”. Yes, one of the peculiarities of leadership is the fact that it is never found in those who have not acquired the habit of taking the initiative. Leadership is something that you must invite yourself into; it will never thrust itself upon you. If you will carefully analyze all leaders whom you know, you will see that they not only exercised Initiative, but they went about their work with a definite purpose in mind with full confidence. All people may be placed in one or other of two general classes. One is known as leaders and the other as followers. Not often do the “followers” achieve noteworthy success, and never succeeded until they break away from the ranks of the “follower” and become “leaders”. There is a mistaken notion being broadcast in the world among a certain class of people, to the effect that people are paid for what they know. This is only partly true, and like all other half-truths, it does more damage than an out-and-out falsehood. The truth is that people are paid not only for what they know, but more particularly for what they do with what they know, or what they get others to do. Without initiative no one will achieve success, no matter what he or she may consider success, because he or she will do nothing out of the ordinary, only the mediocre work required in order to have a place to sleep, something to eat, and clothes to wear. These three necessities may be had with the aid of initiative and leadership, but the moment people make up their minds to acquire more than the bare necessities of life, they must either cultivate the habit of initiative and leadership or else find themselves hedged in behind a stone wall. The first step essential in the development of initiative and leadership is that of forming the habit of prompt and firm decision. All successful people have a certain amount of decision-making power. Those who waver between two or more half baked and more or less vague notions of what they want to, do generally end up doing nothing. There had been ‘talk’ about building the Panama canal for many generations, but the actual work of building the canal never got much beyond the talk stage until the late Theodore Roosevelt became President of the United States. With the firmness of decision, that was the very warp and woof of his achievements and the real basis of his reputation as a leader, Roosevelt took the initiative. He had a bill framed for Congress to pass, providing the money. He went to work with spirit of self-confidence, plus a definite chief aim and definite plan for its attainment, and lo! The much-talked Panama Canal became a splendid reality. It is not enough to have a definite chief aim and a definite plan for its achievement, even though the plan may be perfectly practical and you may have all the necessary ability to carry it through successfully. You must have more than these. You must actually take the initiative and put the wheels of your plan into motion and keep them turning until your goal has been reached. Study those whom you know to be failures (you will find them all around you) and observe that, without a single exception they lack firmness of decision, even in matters of the smallest importance. Such people usually “talk” a great deal, but they are very short on performance. “Deeds, not words” should be the motto of those who intend to succeed in life, no matter what may be his or her calling, or what has been selected as a definite chief aim. Lack of Decision has often resulted in insanity. Nothing is a very bad or dreadful, once one has reached a decision to face the consequences. This truth was demonstrated quite effectively by a man who was condemned to death. When asked how it felt to know that he was to die in another half hour he replied,” Well, it does not bother me in the least. I made up my mind that I had to go sometime, and it might as well be now as a few years later, because my life has been a constant source of trouble anyway. Just think, it will soon all be over.” The man was actually relieved to know that the responsibilities of life to which he had been subjected, and which had brought him to such an ignoble ending, were about to cease. Prominent and successful leaders are always people who reach decisions quickly, yet it is not to be assumed that quick decisions are always advisable. There are circumstances calling for deliberation, the study of facts connected with the intended decision, etc. however, after all available facts have been gathered and organized, there is no excuse for delaying decision, and the person who practices the habit of such delay cannot become an effective leader until that short-coming is mastered. Julius Caesar had long wanted to conquer the armies of another country, but he faltered because he was not sure of the loyalty of his own armies. Finally, he decided upon a plan that would insure this loyalty. Loading his soldiers onto boats, he set sail for the shores of his enemy, unloaded the soldiers and implements of war, and then gave the order for all the boats to be burned. Turning to his generals, he said “Now it is win or perish! We have no choice! Pass the word to your men and let them know that it is the lives of our enemies or our own.” They went into battle and won. Julius Caesar won because he saw to it that all his soldiers had reached a decision to win! When asked by one of his sailors what he would do if they saw no signs of land by the following day, Columbus replied, “If we see no land tomorrow, we will sail on and on.” He, too, had a definite chief aim, a definite plan for its attainment, and he had reached a decision not to turn back. It is known fact that many cannot do their best until they are actually fighting with their backs to the wall, under the stress of most urgent necessity. Impending danger will enable ordinary human to develop superhuman courage and strength of both body and mind, far out of proportion to that normally used. Napoleon, caught by surprise when he discovered that there was a deep camouflaged ditch just ahead of the line of march of his armies, gave the order for his cavalry to charge. He waited until the dead bodies of men and horses filled the ditch, then marched his soldiers across and whipped the enemy. That required a serious decision. One minute of faltering and hesitation and he would have been flanked by the enemy and captured. He did the unexpected, the “impossible” and got away with it. In the field of selling, nearly all sales people are met with the stereotyped alibi from perspective buyers, “I will think it over and let you know later,” which really means that “I do not wish to buy, but I lack the courage to reach a definite decision and frankly say so.” Being a leader, and understanding the value of initiative, the real sales leader does not take such alibis for an answer. That salesperson begins, immediately, to assist the prospective purchaser in the process of “thinking it over” and in short, see the job is completed and the sales has been made. I completely agreed with the fact that leadership and initiative both the factors are associated with each other. people with good leadership quality are always having a unique personality and they are also creating opportunities for others. In order to achieve success in life, we should take positive steps as well as improve our leadership skills, so that we should create an opportunity for our fellow and inspire them with our positive attitude and leadership skills. We should have leadership attitude in our personality so that we can easily get success in our life and easily deal with problems. Leadership attitude ultimately brings several kinds of positive things in our personality and therefore, we should follow different types of coaching programs and other related things to develop our leadership issues. Thanks for such a wonderful post.